St. John sailing is a great way to see the island from the water while enjoying a fun outdoor activity during your stay with CimmaronStJohn. Whether you’re looking for a couple hours on the water or a full-day excursion, there are a variety of St. John sailing charters that will provide the ultimate journey. Set sail in the Caribbean and take in stunning views of crystal clear water, lush green mountains, and spectacular sunsets. St. John sailing will be the adventure of a lifetime! Here are a few St. John sailing charters that will help you embark on a memorable voyage during your vacation stay. If you’re looking to spend your vacation on Cloud 9, then enjoy a St. John sailing excursion on this appropriately named large vessel! Cloud 9 Sailing Adventures offers a half-day or full-day sail and snorkel as two of their popular treks. The afternoon and sunset ride is also a great combination, while the sunset sail is exclusive and romantic. You can also request a private charter for any of these trips if you prefer to just travel with your party. Whatever adventure you choose, the Cloud 9 captains will entertain with stories of the sea. The crew will spoil with luxury service during this St. John boating escapade! Sail the Virgin Islands in style with the St. John Yacht Charters. Personalized and memorable St. John sailing adventures await, along with top-notch local knowledge and experience. Sailing packages at this premier charter include a Local Waters Day Sail, Half Day Sail, Jost Van Dyke, Sydney’s Peace & Love, and ZoZo’s Sunset Sail. The Jost Van Dyke will depart at 8:45am and return at 4pm, beginning with a short sail and snorkel stop before heading to the British Virgin Islands. Here, you will check into customs and then head off to gorgeous White Bay and the famous Soggy Dollar Bar. You will eat lunch ashore, bask in the hammocks, and drink a “Painkiller.” The ZoZo’s Sunset Sail aboard Survivan includes dinner at the high-class sugar mill restaurant along with breathtaking views. Salty Dog Day Sails of St. John is the affordable sailing charter company that focuses on quality rather than cost. With 2 boats in the fleet: Sporty Catamaran ‘Little Dog’ and Classic Monohull ‘Selkie’ there is something for every style sailing enthusiast and at every budget. Perfect for small groups, these boats charter privately or you may join a public trip with group sizes limited to only 12 guests. Family fun with impeccable cleanliness, attentive service and unparalleled professionalism all at an affordable rate. Trips depart daily for Jost Van Dyke –or– enjoy the delights of the US Virgin Islands National Park with snorkeling and swimming with turtles by staying local! Let Salty Dog Day Sails host your group for a memorable day on the water. Discover world-class day charters and a thrilling yet elegant adventure at KEKOA. Jost Van Dyke, Full Day, Half Day, and Sunset Sail options are available, starting at only $75 a person. The half-day excursion will explore the out-islands off St. John’s north side while gliding through narrow passageways and maneuvering steep cliff sides. There are two snorkel stops, as well as access to an open bar, tropical fruit tray, island style bread, and delicious crackers served with mango chutney. The morning sail will take place from 8am to 12pm, while the afternoon adventure is from 12:30pm to 4:30pm. A great St. John sailing expedition awaits with Kiote Sails. Start the day early with a peaceful sunrise sail, letting the sun appear along the horizon before your very eyes. Bloody Marys, mimosas, juice, and a light breakfast are provided for this adventure, which will only cost you $60 a person. Another unique option at Kiote Sails is the full moon sail. Embark on this adventure during the full moon and two days prior. You will enjoy wine, hors d’oeuvres, and an open bar for just $85 a person while howling at the moon from the Caribbean waters. Private sails are available for 5 or less people. 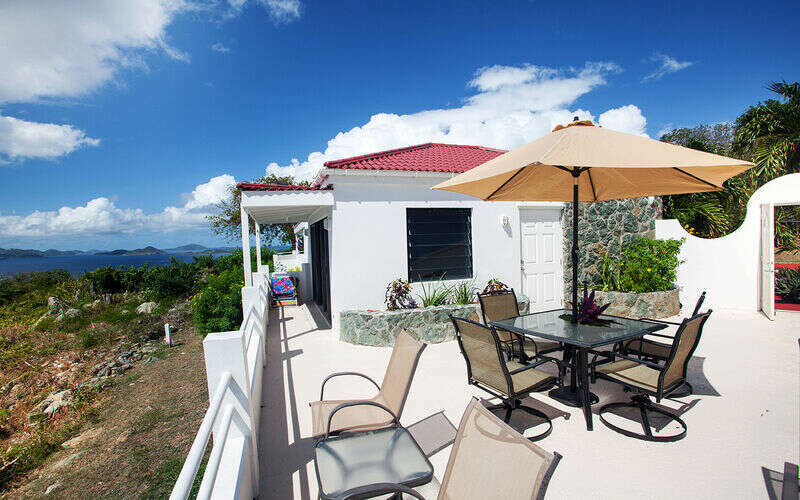 After your St. John sailing adventures, settle in at your CimmaronStJohn vacation villa. Enjoy stunning water views around the island as well as luxurious amenities. Select from our variety of vacation homes for your best fit! Then, discover more adventures around the island by reading our blog.